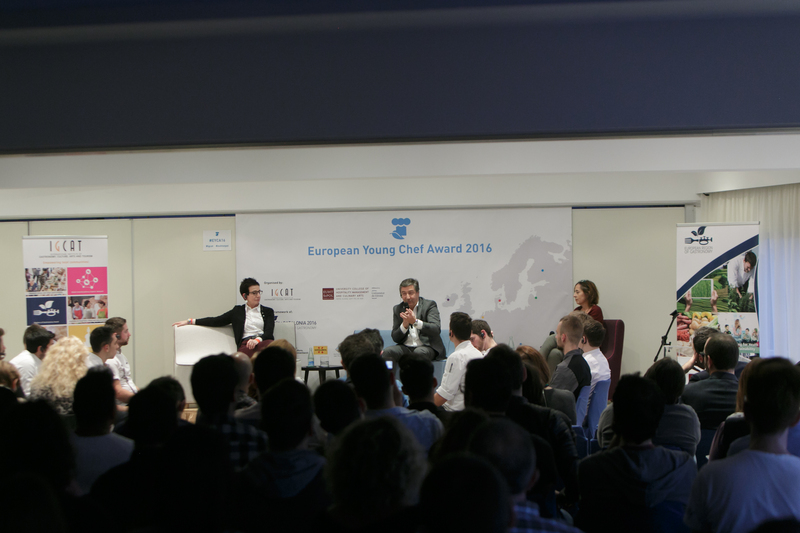 European Young Chef Award 2016 is a competition organized and promoted by the International Institute of Gastronomy, Culture, Art and Tourism (IGCAT), the European Region of Gastronomy Platform and Escola Universitària d’Hoteleria i Turisme de Sant Pol de Mar (EUHTStPOL). 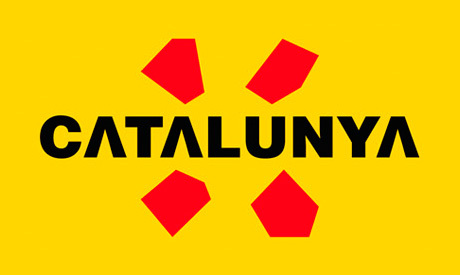 The edition in 2016 brought together 10 participants coming from East Lombardy (Italy), Aarhus/Central Denmark Region (Denmark), Riga-Gauja Region (Latvia), Catalonia (Spain), Kuopio (Finland), Galway, West of Ireland (Ireland), Noord Brabant (The Netherlands), Prekmurje (Slovenia), South Aegean Region (Greece) and Sibiu (Romania). Hosted by EUHTStPol, a University School with 32 years experience in organizing Cooking Contests for young chefs in Catalonia, the event was held within the framework of Catalonia, European Region of Gastronomy 2016 and on the 50th anniversary of EUHTStPol. 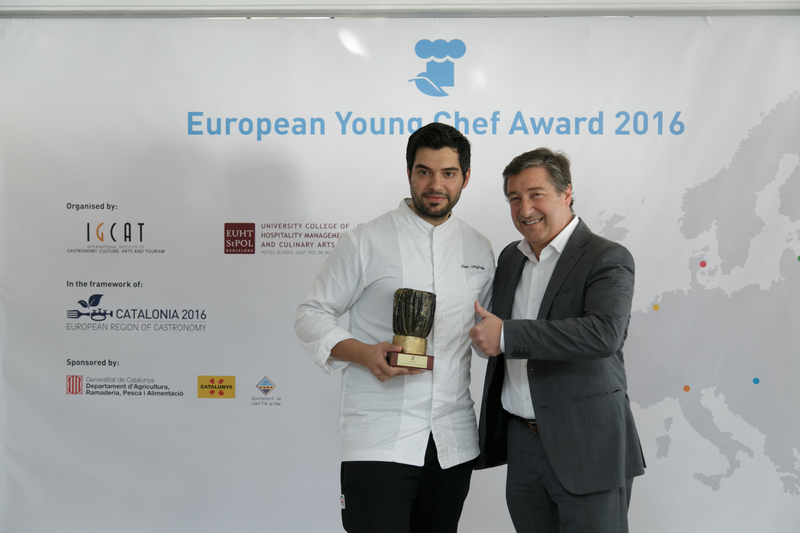 The European Young Chef Award 2016 edition included a competition between finalists of regional competitions from around Europe and was judged by Joan Roca (Celler de Can Roca) as president of the jury and an international expert panel composed by Caroline Couret, Director of the Creative Tourism Network, Dr. Diane Dodd, President of the International Institute of Gastronomy, Culture, Arts and Tourism, Ramon Serra, President of the EUHT STPol and Dr. Jordi Tresserras, Director of the LABPATC. 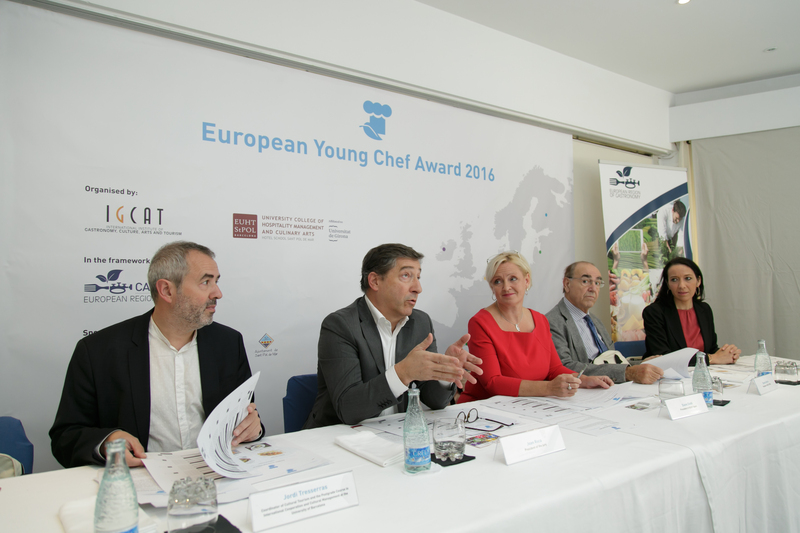 The European Young Chef Award 2016 held a round table event with Carme Ruscalleda and Joan Roca, where they talked about their role in mentoring young chefs and supporting traditional local food production. 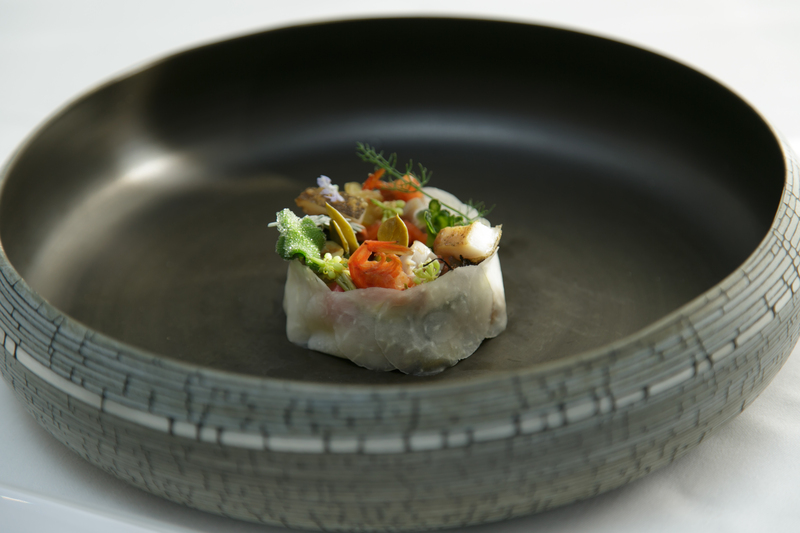 The winner, Satamatios Misomikes from the South Aegean Region presented the dish Salas, the joyness of a birth.